Titanic won its fans all over again when it was re-released in 3D recently. Aseem Chhabra presents his wishlist of Hindi films that could make great comebacks with 3D! Last year saw a record number of Hollywood films being released in 3D. One entry on Wikipedia lists 55 3D films released in the US last year (including Ra.One and Don 2). Purists may have issues with the technology -- veteran film critic Roger Ebert is one of the 3D haters -- but this much is clear: 3D technology is here to stay. Last year, three international projects -- two German documentaries called Pina and Cave of Forgotten Dreams and Martin Scorsese's magical Hugo -- showed us that 3D, if used artistically, can do wonders for some films. The new trend is now to take old classics and add the 3D layer on them. The worldwide success of The Lion King 3D and now Titanic 3D is just the beginning. Now that the Sippy family has announced a 3D version of Sholay, it's just a matter of time before other Bollywood filmmakers dig through the piles of their old films to see which can be reworked with technology. In anticipation of that trend, I have made my own list of old Hindi films I would like to see in 3D. Take a look. There are many reasons for watching this over-the-top, yet hugely entertaining Manmohan Desai extravaganza refurbished with 3D technology but I will list a few. First off, to watch a lively, animated and handsome Rishi Kapoor with a pencil-lined moustache sing the Parda Hai qawalli as he flirts with a cute Neetu Singh in a burqa. Dressed in a green kurta pajama, jacket with gold embroidery, and a red scarf, Rishi literally leaps at the audience. His energy even in 2D is infectious. Surely it would be a lot more fun in 3D. 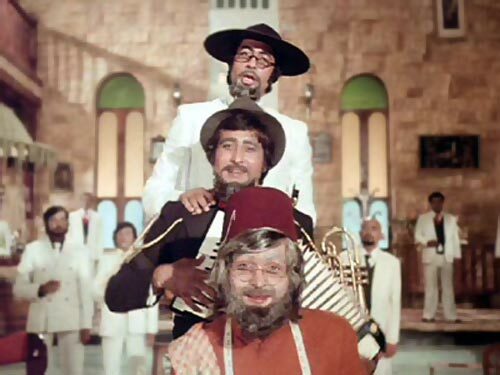 The song also features Amitabh Bachchan in his red leather jacket -- looking his 1970s best -- ready to dance in the aisle, and on the stage (he does both during the qawalli). Finally, the song that was clearly designed for 3D technology -- Amitabh coming out of the giant Easter egg, singing My Name is Anthony Gonsalves. Dressed in a tuxedo with black tie and a top hat, Amitabh is a delight to watch. But there is so much more going on in that song, including all the extras performing cheesy dances. And who can forget the lovely Parveen Babi in a red dress, a red flower tucked in her hair? I am sure Yash Chopra and his sons are dying to give a 3D sheen to DDLJ. Already one of the longest running films, they might even succeed in making DDLJ the first film to run forever! DDLJ is an iconic film that defines so much of what modern day Bollywood means to many of us. Despite the ridiculous ending -- the whole family stands in line watching Shah Rukh Khan's character getting thrashed -- DDLJ has a lot of humour, charm and romance to offer us. 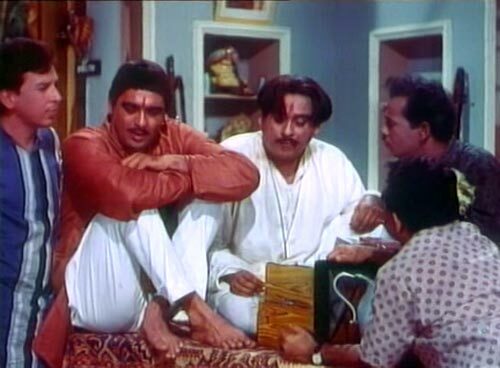 Everyone is a fan of the Tujhe Dekha To song, but I would love to see Mehndi Laga Ke Rakhna get the 3D treatment. The ultimate Punjabi wedding song may just have the power to make us feel as if we are sitting in the middle of the terrace, right next to Kajol, as the dancers surround us. That is one Bollywood wedding that I would love to attend again, this time in 3D! If there is one David Dhawan film I have to pick, it would be Dulhan Hum Le Jayenge. Salman Khan was his usual self, never really trying to dance, but this film has stayed with me for how hot Karisma Kapoor looked in practically every song. The songs seemed forced, and often have no relevance to the plot, but then who cares? The film is worth a watch just to see Karisma and Salman break into dance song-after-song -- Mujhse Shadi Karogee, Tera Pallu Sarka Jaye, Chamiya and more! I believe 3D work on this otherwise very silly film may give it the cult status it deserves. 4. Hum Aapke Hain Koun...! Karan Johar once commented that he did not understand the world that Sooraj Barjatya's characters inhabit. But Hum Aapke Hain Koun...! -- the humongously popular Rajshree film with 14 songs, two weddings and two funerals -- is a showpiece for Madhuri Dixit's beauty. In 3D, the Bollywood queen of the 1990s will reign again, coming alive for a new generation of filmgoers who otherwise might find the film quite dated. Every song -- from the high energy and very catchy Didi Tera Dewar and Joote Lelo Paise Dedo to the almost ridiculous Chocolate Lime Juice -- would be treat to watch in 3D. HAHK's massive cast of the extended family plus that dog, would all shine in 3D. Ashutosh Gowariker's Oscar-nominated modern day epic has it all -- villians, a hero, and a few predictable moments. Yet, the film is a rousing entertainer. 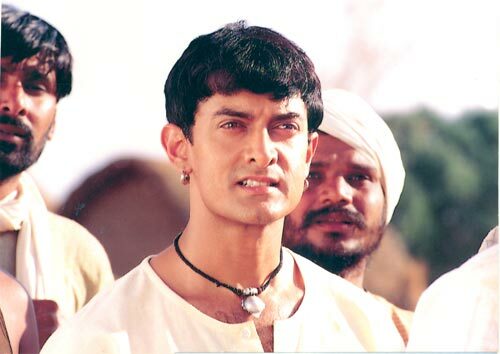 A strange blend of the underdogs fighting against the racist imperialists, cricket and stunning dances and songs makes Lagaan a right choice to be converted into 3D. I would like to watch the songs in 3D, especially the inspiring Chale Chalo, the upbeat Mitwa, the lyrical Radha Kaise Na Jale and the romantic O Re Chhori. Even O Palanhare would work really well in 3D. Farah Khan creates films for the 3D era -- even something as poorly executed as Tees Maar Khan would work in 3D. But her first film Main Hoon Na truly showcases the best of old style Bollywood -- popular music, Shah Rukh Khan's star power, abundance of romance (an older and a younger couple), and lots of thrills and action. One of Farah's greatest talents is in how she conceptualises each song -- from the costumes, the colour palate, the production elements and of course, the dance. I have always found the songs in Farah's films a lot more exciting than the narrative. That is where her true creative vision is reflected. And so each song in Main Hoon Naa film from the qawalli Tumse Milke Dil Ka Jo Haal, Gori Gori, the title song and the others would be a treat to watch in 3D. Sridevi in 3D -- now that is a delightful thought. Shekhar Kapur's hit film already has a cult status and would win many more fans among the younger generation. My favourite songs that I would love to see in 3D would include I Love You -- a sari-clad Sridevi moving to the tunes of the seductive song! Then there's the beach song with the kids, Sridevi and Anil Kapoor -- Karte Hain Hum Pyar, and of course, Hawa Hawaii. No conversation about Mr India would be complete without Amrish Puri's Mogambo -- the strangest Indian villain ever created. He lives on an island with guards who give the Heil Hitler salute to him, and look straight out of Star Wars. Mogambo himself sports a peculiar blond hairdo, rings on all fingers and says one of the most quoted words from Hindi cinema 'Mogambo Khush Hua'. The whole over-the-top setting and characterization of Mogambo is begging to be unleashed in 3D. Padosan's comic tone is perfect to be revisited through with 3D technology. The madcap combination of Mehmood, Sunil Dutt, and Kishore Kumar with the beautiful Saira Banu was a visual delight in the song Ek Chatur Naar. Sunil and Kishore do the Cyrano Bergerac routine to impress Saira Banu. The other actors are equally animated, jumping around and the 3D technology will give a wonderful depth and perspective to the two facing apartment windows. There are other fun songs in Padosan. One of my favourite is Main Chali, Main Chali featuring Saira Banu in tight red pants and a red scarf tied around her thick hair, bicycling with her friends (an interesting mix of extras with some personalities, since they get to lip sync part of the song). How much fun would it be to see them in 3D, adding a surreal touch to a very garish Bollywood moment. 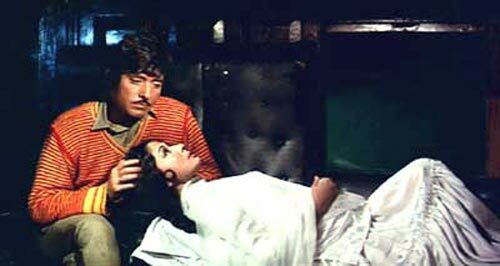 Kamal Amrohi's tragic melodrama with every song a visual treat, Pakeezah would benefit a lot from 3D restructuring. It will be a wonderful blend of old school filmmaking and writing projecting old values. Among all the songs in the films, the two that I most want to see in 3D are Inhi Logon Ne and Chalte Chalte. The first opens with a long shot of the a street and kothas packed with dancing women. While Meena Kumari performs her mujra, we can see many other women dancing in the background. It is such a stunning imaginative composition -- like a Cirque du Soleil of mujras. In 3D, each of those dancing girls will get their own personality and depth, while we also focus on the main act taking place in the foreground. Chalte Chalte is a quieter song from the complex bazaar scene of Inhi Logon Ne. But even here, 3D could deeply enhance Meena Kumari's mujra, the two supporting dancing girls behind her, the fountain and finally, the train. Oh how I would love to see that train in 3D! I would love to see Umrao Jaan in theatres again -- nearly 30 years after its release -- in 3D. It is a terrifically made film, in all departments -- writing, costumes, production design and performances. My two favourites sequences would be the seductive dance songs, Dil Cheez Kaya Hai and In Ankhon Ki Masti. Both songs are quiet, haunting and the sequences are so well shot. 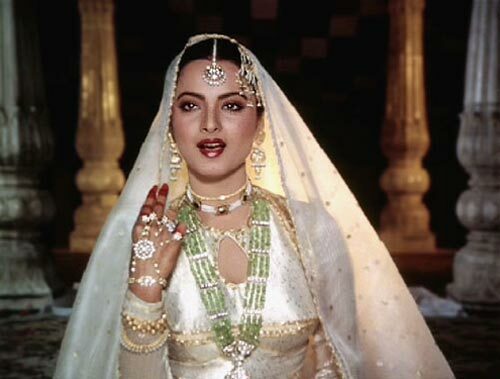 Umrao Jaan has mostly stayed with us because of Rekha. This was role she was born to play. It will be wonderful to see her youth and beauty preserved, and enhanced in 3D. PIX: TV Actresses Turn Hot Calendar Gals!